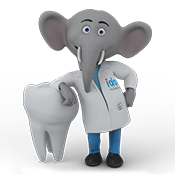 IDA is the premier association of dental professionals in India. It is committed to public oral health, ethics, advancement of dental professionals and development of standards of dental care in the country. IDA represents more than 50,000 dental professionals and has 30 state branches and 350 local branches. IDA seal is an important symbol of a dental product's safety and quality. The seal is designed to help public and dental professionals make informed choices. It provides relevant information to consumers and affects their purchasing decisions. IDA Seal History- How it evolved? For several years, IDA had expressed the need for implementing a certification programme to ensure the safety and efficacy of dental products in India. By 1994, IDA established rigorous guideline for testing, evaluation and advertisement of dental products for the Indian conditions within the framework of it's constitution. Consequently the evaluation programme drafted with one of its objectives being, "the improvement of health of the public and the promotion of the art and science of dentistry". 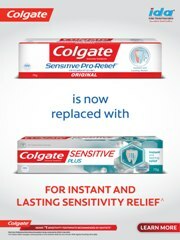 This represents the most significant step in enlightening consumers about the usefulness of the product. The IDA Seal is important for consumers and dental professionals alike, as they associate it with product safety and efficacy. The objective is to recognize products of suitable quality. The seal on consumer products presents the fact that the products have been assessed by expert panel and found to be safe. The IDA Seal on products helps to educate the public about dental care. The guidelines developed are revised on a constant basis in keeping with the advances in dental sciences and the changing needs of the practitioner and general public. IDA is open to queries from the public, dental practitioners and the media with regards to the Seal, its evaluation process and the use of accepted dental products. Oral health products cleared by the Food Safety and Standards Authority of India for sale must be marked by IDA Seal. The Council on Scientific Affairs (CSA) evaluates consumer dental products such as therapeutic agents, drugs, chemicals, materials, instruments, and equipment that are employed in the treatment or prevention of dental disease. In addition, cosmetic agents may also be eligible for the Seal. Submit ingredient lists, labeling claim and other pertinent product information for review and approval. Supply objective data from clinical and/or laboratory studies in compliance with IDA that support the product's safety, effectiveness and promotional claims. Conduct clinical trials in strict compliance with IDA guidelines and procedures. Provide evidence that manufacturing and laboratory facilities are properly supervised, and are adequate to ensure purity and uniformity of the product, and that the product is manufactured in compliance with good manufacturing practices. Submit all product packaging and labeling for review and approval by IDA and comply with our standards for accuracy and truthfulness in advertising. IDA Seal is usually awarded for a three-year period. Companies must reapply to continue using the Seal. Whenever the composition of an accepted product changes, the company must resubmit the product for review and approval before it is marketed with the Seal. IDA’s Seal of Acceptance Programme guidelines are provided for informational purposes only and may be modified at any time. These provide a general overview of the programme; they do not govern a company’s rights to use the IDA Seal. The IDA Seal of Acceptance is a registered certification mark of the association. All rights to use the IDA Seal are governed solely by a separate license agreement between the IDA and the manufacturer or distributor of an accepted product. It can be used on or in connection with a product after the Seal of Acceptance has been given by the Council on Scientific Affairs and a license agreement has been signed. Upon termination or expiration of the license agreement, all rights of a company to use the IDA Seal cease. Under the bylaws of IDA, the Council on Scientific Affairs studies, evaluates and disseminates information with regard to: Safety, efficacy, promotional claims and proper use of dental therapeutic agents, their adjuncts and dental cosmetic agents used by the public or profession. The Council also determines the safety and effectiveness of products and disseminates information on materials, instruments and equipment that are offered to the public or the professional. The council also critically evaluates statements of efficacy and advertising claims. Additionally, the Council maintains liaison with related regulatory, research and professional organizations. It encourages, establishes and supports research of dental therapeutics, dental materials, instruments and equipment by coordination with national and international standardization organizations. Products cleared by Food Safety and Standards Authority of India for direct sale, Indian Food and Drug Administration over- the- counter or exclusively through oral health care professionals are eligible to apply for IDA's Seal. The Council on Scientific Affairs evaluates consumer dental products that are employed in the treatment or prevention of dental disease. In addition, cosmetic agents may also be eligible for the Seal. Commercial products are evaluated upon the request of a distributor or manufacturer, or the initiative of the Council. Products which meet the IDA Seal Programme’s Acceptance criteria with respect to safety, efficacy, composition, labeling, package inserts, advertising and other promotional material will be granted the IDA Seal of Acceptance. Notification of a product’s acceptance into the IDA’s Seal Programme will be made in writing by the Council. This will be formalised by executing IDA Seal licence agreement. The Council may require a company to use an authorized statement in conjunction with its use of the IDA Seal. Acceptance is renewable and may be reconsidered at any time. If there is a change in the manufacturer or distributor of a product, the Seal of Acceptance is withdrawn automatically and the license agreement expires. Products that are obsolete, substantially inferior, ineffective or dangerous to the health of the user will be declared unaccepted and in the best interest of the public or the profession. The Council may submit reports on unaccepted products to the editor for publication in the journal published by IDA or in any other publication of the association. Established or Generic Names: The selection and use of established or generic names must confirm to the requirements of The Drugs and Cosmetics Act. Trade Names: Proprietary names will be acceptable to the Council provided the names meet certain professional standards. Misleading Names: Names which are misleading or which suggest diseases or symptoms will not be acceptable. This provision may not apply to certain biological products such as serums or vaccines. Titles in Names: Products that include titles such as Doctor or Dentist or the designation B.D.S or M.D.S in the name of a product will not be acceptable. Unacceptable product names (as determined by, but not limited to, the above criteria) must be revised before Acceptance. Product Information: A company is required to provide a quantitative statement of composition, including ingredients, to the Council. For therapeutic agents, adequate information on the properties of all ingredients must be provided. For materials, instruments and equipment, a description of the materials used in the construction and the method of operation must be provided. Any change in the composition, nature or function of an accepted product must be submitted to the Council for review and approval before a modified product is marketed. A modified product is prohibited from using the IDA Seal unless and until it is approved by the Council. Manufacturing Standards: The company must provide evidence that manufacturing and laboratory control facilities are under the supervision of qualified personnel, assure purity, uniformity of products and are in compliance with Good Manufacturing Practices. The company must agree to permit representatives of the Council to visit laboratories and factories upon request. 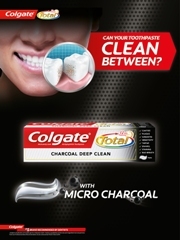 For products guidelines of Indian Dental Association are required. The manufacturer must conduct testing on a regular basis to determine continued compliance with the specification. Upon request of Council, the company must make these test records available to the Council. The company must provide evidence that a product demonstrates compliance with its relevant guideline and/or specification. The Council at any time and without notice to the company may authorize the testing of such products. For products which fall under the scope of official IDA Specifications the following information must be submitted: (1) the serial or lot number; (2) the physical properties as obtained by standard test methods and (3) data covering every provision of the official specification. 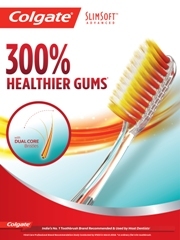 Responsibility for guarantying that the product complies with an official specification lies solely with the manufacturer and not with the Indian Dental Association. Test samples will be procured at the expense of the manufacturer. In the event that an accepted product fails to comply with the appropriate specification, the IDA Seal of Acceptance will be withdrawn from the product. The license agreement will terminate immediately and all rights of the company to use the IDA Seal will cease. All products that do not comply with the specification must be removed from the market. If the IDA Seal of Acceptance is withdrawn from a product, the product may be resubmitted at any time, provided adequate evidence of safety and effectiveness is submitted for Council review. Submission of Evidence: Evidence must be submitted pertaining to-actions, safety and efficacy; and where applicable, mechanical and physical properties. Information on acceptable standard test methods for physical properties may be obtained from the Council on Scientific Affairs. In general, the data required on physical tests will include: methods, results, names of the observers, and dates of testing. Nature of Evidence: The company must provide objective data from clinical and laboratory studies demonstrating safety and effectiveness. Evaluation of a product may also be based on similarity to a previously accepted product. Products that fall under the scope of an official IDA Specification will be tested for compliance by the IDA laboratory. Test samples, unless otherwise indicated, will be procured on the open market at the expense of the manufacturer. Supplemental Evidence: All proprietary studies for the product must be submitted. Additionally, the IDA may, through use of its own laboratory facilities or use of other facilities, conduct any additional evaluation deemed necessary by the Council. Post Marketing Surveillance: Any new information regarding safety and efficacy must be submitted as it becomes available. This evidence may be in the form of new clinical studies, reports of adverse reactions or follow-up investigations of previously submitted clinical studies. Renewal of Acceptance: The Company may be required to submit evidence demonstrating continued acceptable clinical performance of the product. This evidence may be in the form of new clinical and/or laboratory studies, reports of adverse reactions or follow-up investigations of previously submitted clinical studies. Disclosure: The company must disclose any past, present or anticipated financial arrangements between the investigators and the company, its affiliates or subsidiaries, including, but not limited to, consulting agreements, speakers’ fees, grants or contracts to conduct research, or membership on the company’s advisory committees including remuneration policies, or in the product that is the subject of the investigation. If the Council determines that the financial interests raise a question about the integrity, the Council may take any action it deems necessary to ensure the reliability of the data, including but not limited to requesting that the company submit further analysis; conduct additional independent studies. A product must confirm to all applicable laws and governmental regulations. IDA is concerned about the negative environmental impact of non-biodegradable materials for the manufacture and packaging of disposable products. Therefore, IDA encourages all dental manufacturers, especially those with accepted products, to use, whenever possible, materials that are biodegradable and/or recyclable. Name: The established or generic name of a product must be displayed in a prominent manner. Claims: Claims of significance to dentistry for a product must be clear and accurate. Packaging/Labeling: All packaging/labeling must be submitted to the Council for review and approval prior to use. Advertising: Advertising must conform to the IDA’s standards and certification mark usage guidelines. The IDA’s name, Seal and Seal Statement may appear in advertising and promotional materials, to include point-of- purchase. The Seal statement sets forth the basis for acceptance by the Council and must be used whenever the Seal is used, unless otherwise authorized by the Council. Disparagement of other products: Advertising of an accepted product must not result in the disparagement of other products. Implied Acceptance: An accepted product must not be advertised or displayed with unaccepted products in a manner that implies acceptance of the unaccepted product. This provision does not apply to conventional price lists or catalogues. Responsibility: The responsibility of providing substantiation of claims for safety and efficacy or claims of compliance with an official standard must reside with the manufacturer and not with the Indian Dental Association. The IDA reserves the right to make changes to the IDA Seal of Acceptance Programme at any time at its sole discretion. Such changes may include: Changes to the guidelines or specifications, testing criteria, license agreement or advertising standards. Note that in some instances, changes to the Programme may result in the permanent withdrawal of the IDA Seal from a product or product category. If the foregoing circumstance occurs, IDA will determine the date by which the license agreement will terminate and will notify affected companies accordingly. All rights of a company to use the IDA Seal will cease upon termination of the license agreement. The Council may on occasion find it necessary to permanently withdraw the IDA Seal of Acceptance from a product or product category. Such decisions may be made at any time at the sole discretion of the Council. Any violation of the IDA Seal license agreement is grounds for Council’s withdrawal of the IDA Seal of product acceptance. It is the policy of the Indian Dental Association to treat the material submitted for Council review as confidential. Any confidential information submitted by a company should be marked as “confidential,” “proprietary” indicating its confidential nature. Although IDA utilises outside consultants in its review of products, IDA Seal Programme consultants are required to sign the IDA’s Code of Conduct. The Code of Conduct requires the consultants to refrain from disclosing confidential product submission materials to anyone outside IDA. IDA refrains from voluntarily disclosing properly marked product submission materials to any third party without the prior consent of the manufacturer. IDA also takes steps to ensure that such materials are not disclosed or distributed by its employees, consultants or other agents. However, IDA will not be liable for any damages resulting from the acts or omissions of IDA consultants, including but not limited to their failure to abide by the Code of Conduct. is or becomes a part of the public domain through no act or omission of IDA. was in IDA’s lawful possession prior to the disclosure. is independently developed by IDA without use of or reference to the company’s Confidential Information. What is the IDA Seal? IDA Seal stands for safety and effectiveness, a symbol of products that are of benefit to the oral health of consumers. The Seal is designed to help the public and dental professionals make informed choices. 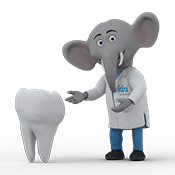 IDA formulated a rigorous guideline within the framework of its constitution for testing, evaluation and advertisement of dental products Consequently the objective of IDA's evaluation programme is, "the improvement of health of the public and the promotion of the art and science of dentistry". What determines whether a dental product qualifies for the Seal? Submit ingredient lists and other pertinent product information for review and approval. Provide objective data from clinical and/or laboratory studies that support the safety, effectiveness and promotional claims of the products. Provide evidence that manufacturing and laboratory facilities are supervised and adequate to ensure purity and uniformity of the product, and that the product is manufactured in compliance with good manufacturing practices. Submit all product packaging and labeling for review and approval by IDA, and comply with the IDA's standards for accuracy and truthfulness in advertising. The IDA's Council on Scientific Affairs reviews and declares oral care products safe, effective and worthy of the IDA Seal. The consultants represent all fields relevant to evaluating dental products, including dental materials, microbiology, pharmacology, toxicology and chemistry. In some instances, IDA may conduct or ask the company to conduct additional testing. Only after a product has demonstrated its safety and effectiveness will the IDA Council on Scientific Affairs award the Seal to that product. How is the Seal used in advertising and packaging? The IDA requires accepted products to display a Seal Statement on the product label and in advertising. The Seal Statement tells the consumer why the IDA accepted that particular product. 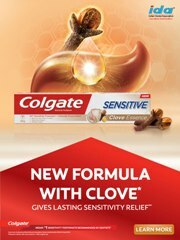 For example, the Seal Statement on an accepted toothpaste with fluoride would read: “The IDA Council on Scientific Affairs’ acceptance of (product name) is based on its finding that the product is effective in helping to prevent and reduce tooth decay, when used as directed.” Look for the Seal Statement whenever you see the IDA Seal. What is the value of the seal? IDA Seal of Acceptance is designed to help consumers make informed decisions about safe and effective consumer products. Market research has shown that the IDA Seal on a product affects the purchase decisions of consumers. IDA is happy to answer questions from dentists and members of the dental team, the media and the public about the Seal programmes evaluation process and accepted products. How do I apply for the IDA Seal of Acceptance? You can submit the application form for product endorsement under the IDA Seal acceptance programme on the website.